Perhaps the second most anticipated piece of Star Wars media this year(right behind Star Wars: Episode IX) is The Mandalorian. The first season of the upcoming series, which is expected to debut on the Disney+ streaming service this Fall, recently wrapped production. While we still know very little about The Mandalorian, one cast member recently went on record to tease his role in the series. IndieWire: "I’m really intrigued by your acting career in recent vintage." Werner Herzog: "Yes, I did some more now. Now this is not a secret anymore, a small part, real small part, in “The Mandalorian,” the Star Wars sequel or whatever you call it. I like to do it because I know I’m good on screen, but only if I have to play a real villain." 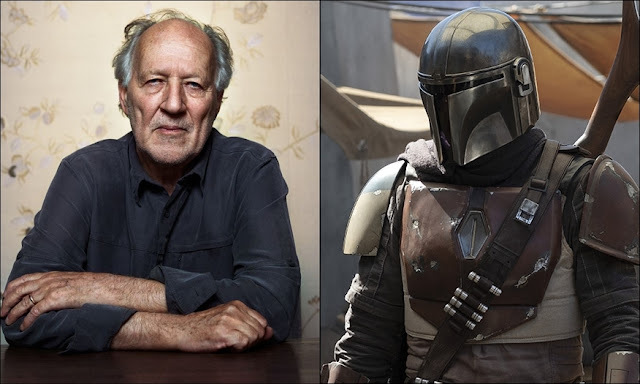 It certainly sounds like he will have an antagonistic role in The Mandalorian, and minimal one at that. What type of villain could he be playing? And how many episodes could he show up in? All good questions that will eventually be answered(perhaps as soon as next month). In the meantime, share your favorite theory about Werner Herzon in The Mandalorian in the comments down below! Alongside Herzog the series also stars Gina Carano (Deadpool), Nick Nolte (Affliction), Carl Weathers (Predator), Giancarlo Esposito (Breaking Bad), Emily Swallow (Supernatural), and Omid Abtahi (American Gods). The first season, which will be available when Disney+ launches in the Fall, is expected to consist of eight episodes. The episodes are written by executive producer Jon Favreau and directed by Dave Filoni (Star Wars: The Clone Wars), Taika Waititi (Thor: Ragnarok), Bryce Dallas Howard, Deborah Chow (Better Call Saul), and Rick Famuyiwa (Dope). The series is executive produced by Favreau and Filoni, as well as Colin Wilson and Lucasfilm president Kathleen Kennedy.